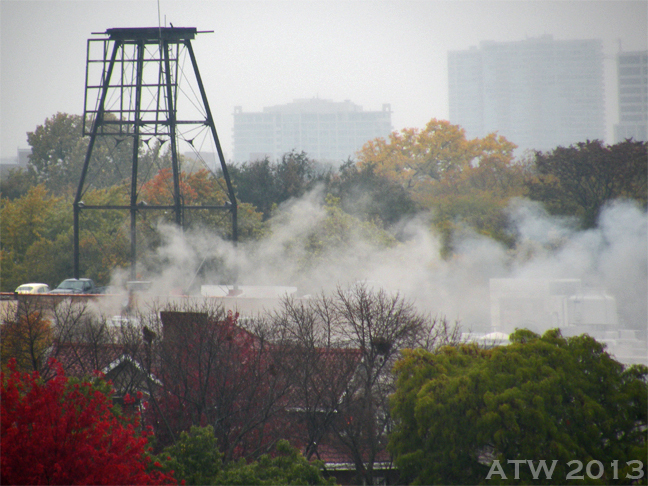 While looking out my window as I sipped coffee, I noticed a bit of smoke not too far away. Oh, I thought to myself, someone’s lucky enough to have a fireplace on this damp, gray day! Definitely NOT curling smoke from a chimney! A minute later, I was still unable to determine what was on fire. 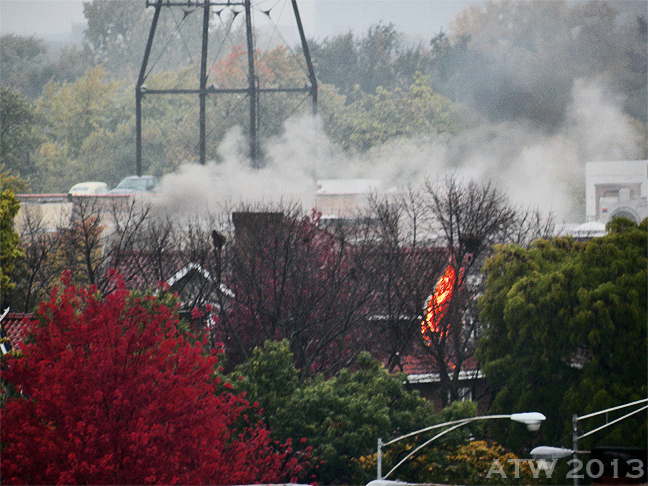 But a minute later, at 9:32 AM, I knew exactly where the now-huge flames were climbing! …their hoses streaming water under drizzly skies. 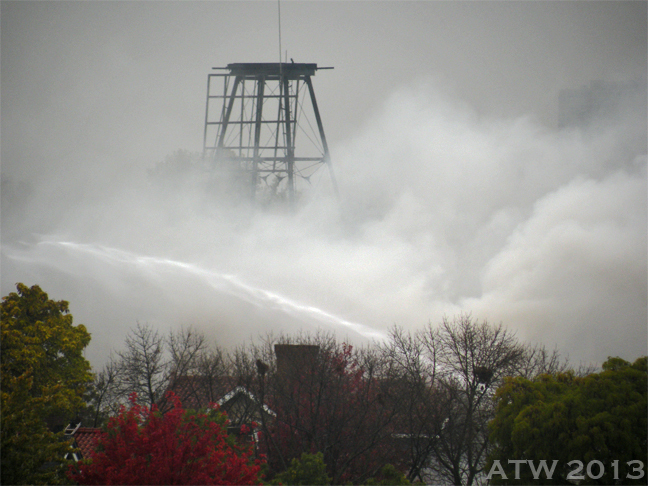 It took the better part of half an hour before the fire was struck, as little areas of thick smoke would appear, then be dissipated. 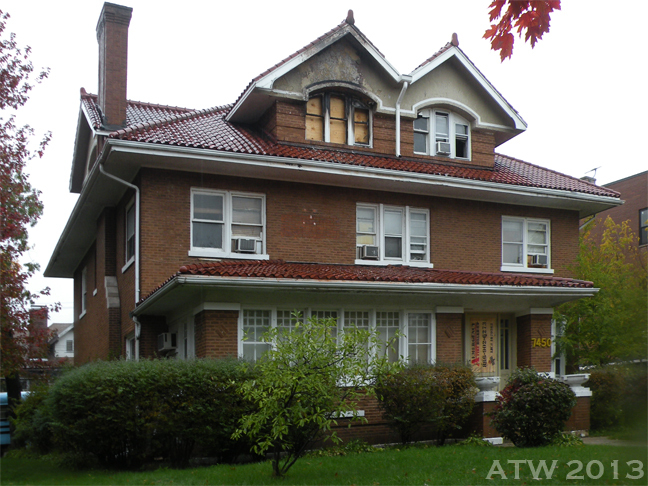 …a Sheridan Road former mansion now owned by the Unification Church of Chicago. I didn’t walk around to the back when I went over at 4:30 this afternoon (it was raining and my lens kept fogging up), but I’m certain the place has had not only fire damage, but is also soaking wet inside. Apparently, a space heater sparked from the electrical outlet, setting a mattress on fire. 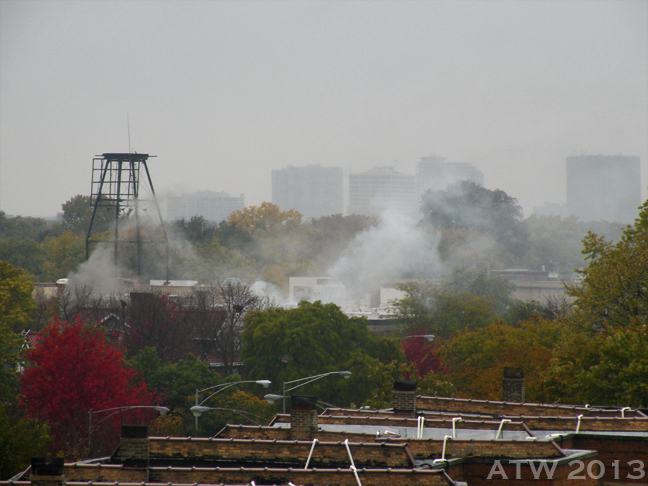 If you are using a space heater, as many who live in older Chicago buildings are forced to do, PLEASE keep it away from any furniture, clothing, curtains, etc. NEVER use an extension cord with a space heater; plug it directly into the electrical outlet! 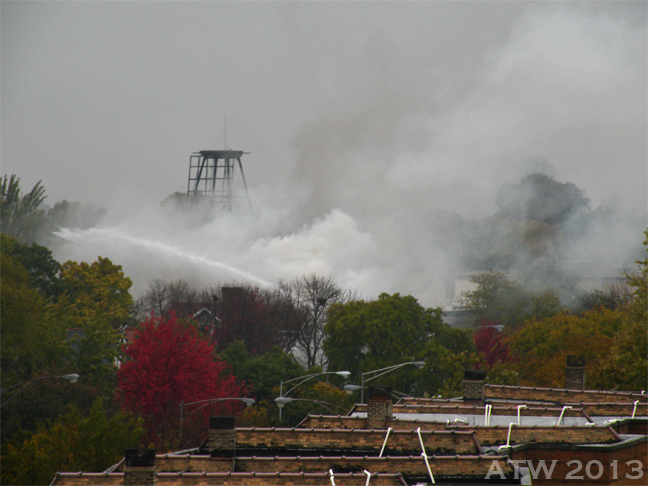 This entry was posted in 2013, Autumn, Chicago, Digital Photography, Photo correction, Photo Manipulation, Photography, Photoshop, Street Photography and tagged Chicago Fire Department, Fire, Fire Hazards, Hallowe'en Scare, Rogers Park neighborhood, Safety First, Smoke, Space Heaters, Unification Church of Chicago, Water, Water Damage. Bookmark the permalink. 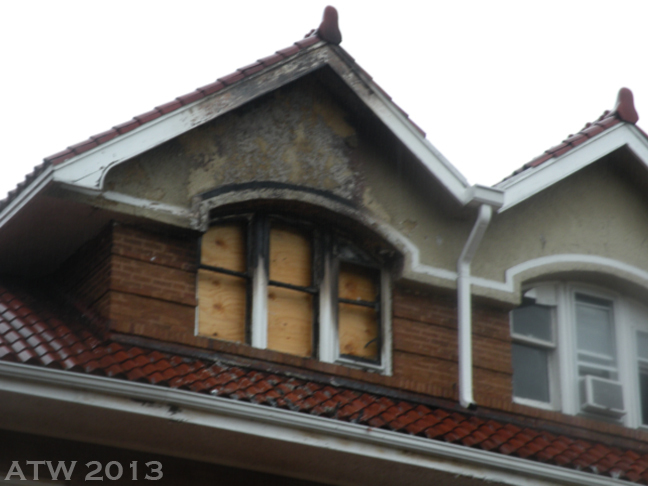 Wow, a fire, so good they saved the house, I hope not too much inside. Must have been strange looking at it from your window. It was weird, Leanne, I have to say that.